Washington is best known for its biggest city of Seattle, but the Emerald State is also home to a staggering number of scenic destinations. 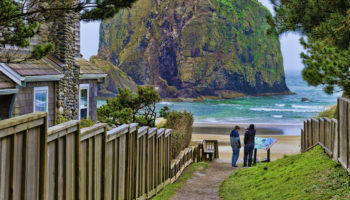 Whether you want to hike right up to waterfalls, admire snow-capped mountains from a distance or spend the day on islands off the coast, Washington has it all. 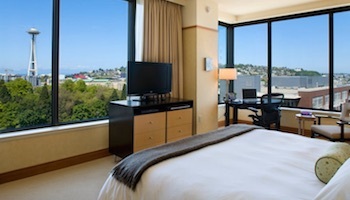 It is easy to pack your vacation with city life, world-class attractions, national parks and more while in the Pacific Northwest. 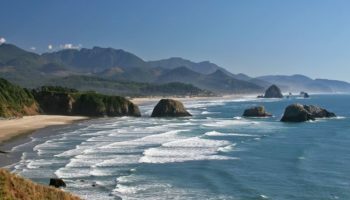 Use this list of the best places to visit in Washington State as you plan your next trip itinerary. At the base of Washington’s North Cascades Mountain Range is Lake Chelan, a hub for scenery, outdoor recreation and wine tasting in the Pacific Northwest. 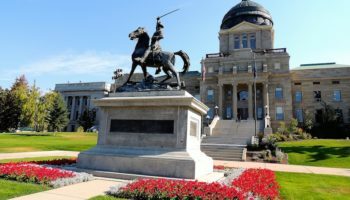 Visiting vineyards is a major draw to the region, and you can spend a day sipping and sightseeing at places like Vin du Lac Winery, Karma Vineyards or Mellisoni Vineyards. For a closer look at the incredible natural terrain, ride on a seaplane that takes off and lands in the lake itself, or try water-skiing during the summer months. 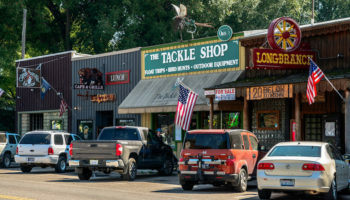 Hiking possibilities are abundant, and on Historic Main Street you can dine on farm-to-table cuisine from a range of independent eateries. South of the Rattlesnake Hills, and right in the heart of the Columbia River Plateau, is the Columbia River Gorge. The gorge cuts through the Cascade Mountains forming the boundary between Washington and Oregon, and you can get spectacular views of the gorge from above. The Multnomah Falls cascade right into the gorge at one point, only adding to the beauty of this particular destination. One of the best ways to see the Columbia River Gorge from the Washington side is to drive along State Route 14, stopping off at the many scenic vantage points for photos. 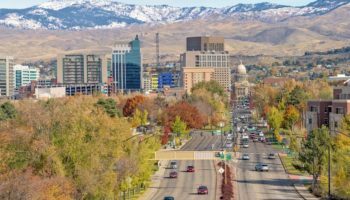 After Seattle, Spokane is the largest city in Washington, and it is located in the eastern portion of the state close to the border with Idaho. In Spokane, you can visit the Riverfront Park, which was home to the 1974 World’s Fair, and stroll along the banks of the scenic Spokane River. 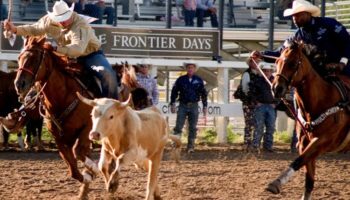 Some of the city’s top attractions include the John A. Finch Arboretum, the Northwest Museum of Arts and Culture and Spokane Falls. You may also want to check out some of the city’s popular golf courses or take a tasting tour through some of the many breweries that have popped up in Spokane in recent years. Halfway between the towns of Snoqualmie and Fall City is Snoqualmie Falls, one of Washington’s most popular attractions. The rushing waters of the falls make it a stunning and unforgettable place to visit and a top spot for photographers in the Pacific Northwest. 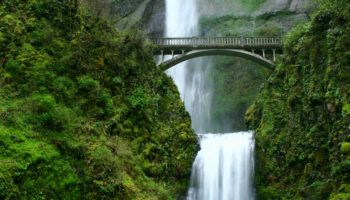 You might already recognize the falls for its appearance in the popular cult television show “Twin Peaks”. There are short hiking trails around Snoqualmie Falls where visitors can admire enormous trees and lush green plant life within the spray of the waterfalls. There is also a large visitor center and gift shop where you can snag some snacks or souvenirs to help remember the trip. More than half of all the glaciers found in the Continental United States are located within the North Cascades National Park in Washington. The park is also home to a staggering amount of wildlife, including animals like grizzly bears, gray wolves and lynx. 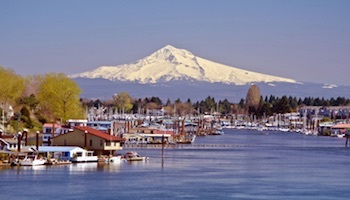 Hike or drive to Mount Baker, a volcano located within the North Cascades, to get an unparalleled view of the nearby Mt. Shuksan, which is perhaps the most photographed peak in all of North America. Within the national park, you’ll find opportunities for alpine climbing and back country camping, but you can also set off on shorter day hikes and mountain biking trails during the summer. In the north of the Puget Sound, and close to British Columbia, you’ll find the San Juan Islands. Despite proximity to Canada, they belong to the United States, and to Washington State in particular. The San Juan Islands are an inviting retreat and an escape from the hustle and bustle of everyday life, offering an abundance of outdoor activities in a stunning landscape. You can kayak in the water, take tours to spot Orca Whales in their natural habitats, dine on fresh seafood or hike through the San Juan Island National Historical Park. 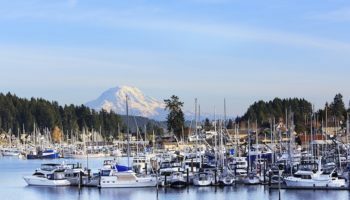 Friday Harbor and Rocher Harbor are the two hubs for dining, shopping and sightseeing, and they also offer some commercial flights, boat arrivals and museums. To see a lush green rain forest and a rugged mountain range in a single destination, try the Olympic National Park. One of the highlights of a visit to the Olympic National Park is the Hoh Rain Forest, where you can see herds of elk roaming the landscape or you can set off on a challenging hike to the summit of Mt. Olympus. For a less strenuous adventure, admire the summer wildflowers of Hurricane Ridge or walk among bluffs and sea caves in Cape Flattery. Clear blue water and stunning scenery awaits in the park’s Lake Crescent, and some of the most amazing views you can see straight from your car are found along the road known as the Coastal Strip. In Southwest Washington is the Mount St. Helens National Volcanic Monument, a destination that marks the site of the volcanic eruption in 1980. Accessible from Seattle on a day trip, but also the perfect place to spend a few nights, Mount St. Helens boasts a number of interesting and scenic attractions for visitors. Don’t miss the Mount St. Helens Visitor Center at Silver Lake, where you can get a brief history of the region and the 1980 eruption, or head to the Hoffstadt Bluffs Visitor Center for tours as well as dining options with the a view of the volcano. The Johnston Ridge Observatory boasts spectacular vantage points of the north side of Mount St. Helens as well as an extensive visitor center. 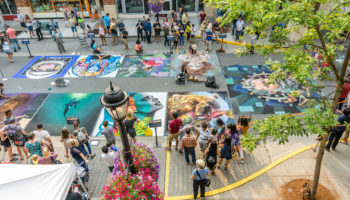 Occupying a narrow isthmus between the Puget Sound and Lake Washington, Seattle is a beautiful city and among the most popular places to visit in Washington. The largest city in the Pacific Northwest might be best known for Starbucks, but there is a lot more that Seattle has to offer. Downtown, stop in at Pike Market for fresh produce and fish caught that morning. Experience the culture of the city at the Experience Music Project, an incredible museum devoted to music, movies and pop culture. 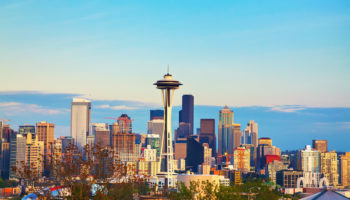 Head to the Space Needle for views over the city and across the Puget Sound, or walk around Green Lake for some fresh air and a glimpse at local life in Seattle. Less than an hour’s drive outside of Seattle is Mount Rainier National Park, which is focused on the towering peak of Mount Rainier itself, the highest mountain in Washington. This incredible park is a popular destination to visit throughout the year, but snowy weather limits access to some areas. At the Paradise section of the park, you’ll see fields of colorful wildflowers and excellent hiking trails. In the Sunrise section, you can drive to the highest vantage point in the park for truly spectacular views. Mountaineering and glacier climbing are two recreation options in the park, but Mount Rainier also offers easier hikes. Green Lake Trail, for instance, takes just over an hour and brings hikers through old growth forest and waterfalls. Which destination do you consider the best place to visit in Washington State? Love checking out all the options for our upcoming road trip – so much to choose from so helpful for this guidance.